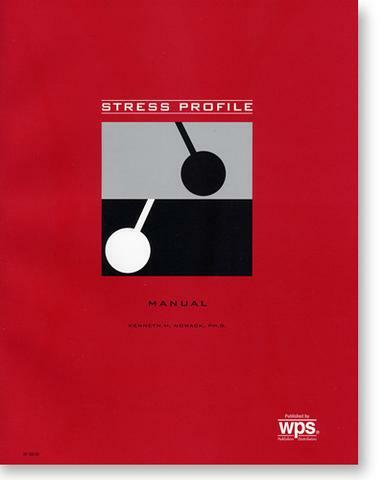 The Stress Profile quickly identifies individual characteristics and behaviors that protect against or contribute to stress. Use this tool within organizational settings as part of wellness, stress management, and health promotion programs. Because it is quick and easy to administer, the Stress Profile is ideal for routine use in organizations, outpatient clinics, hospitals, and medical practices. This report is a confidential summary of your Stress Profile, which measures a variety of factors that may affect your physical health and psychological well-being. 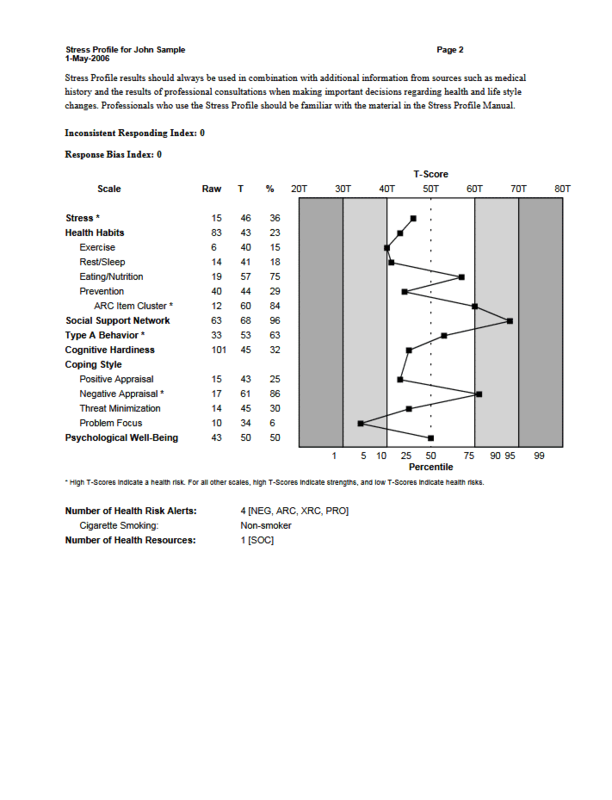 Your profile outlines scores on the Stress; Health Habits (including Exercise, Sleep/Relaxation, Prevention, and Eating/Nutrition); Social Support Network; Type A Behavior; Cognitive Hardiness; Coping Style (including Positive Appraisal, Negative Appraisal, Threat Minimization, and Problem-Focused Coping); and Psychological Well-Being.